Many people think that the Optical Glasses cannot be tinted like sunglasses. Not true. You can most definitely have this done to your new glasses and even in a number of different shades. Actually lenses are manually tinted in a solution and depends on the time in the solution, the darker or lighter the lens will be. 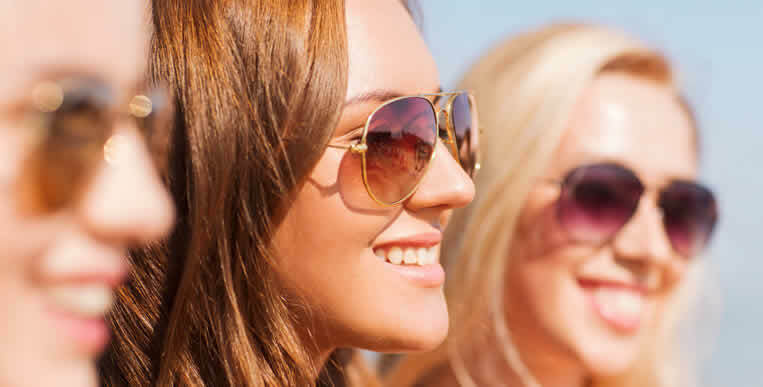 With Summer always somewhere in Australia, your eye protection an absolute must ! The time is NOW to get a pair of sunglasses made with your specific script. Please be aware that tinting of lenses is a manual process and may add a few days to normal delivery times. Most, but not all, discount codes can be used with individual pairs of glasses. The codes are entered in the Order Summary just prior to the checkout. TwinPack Code is designed for multiple purchases. Once used, no further discounts can apply. Only ONE discount code can apply to one pair of glasses. Discount codes cannot be cumulative.